Aussie flu worries have led the NHS to urge parents to get their young children vaccinated. The health service recently warned that hospitals would be inundated this winter after Australia experienced a particularly bad flu season over the summer. People with two and three-year-olds are being encouraged to give them the flu vaccine. It is given as a spray vaccine squirted up each nostril, according to the NHS. Dr Frank Atherton, the Wales' Chief Medical Officer, said getting young children protected against the virus could reduce hospital admissions. He said it could stop flu spreading in the community to other vulnerable groups, which include the elderly. Flu can prove deadly in older people, and Dr Ranj Singh recently told Express.co.uk that getting children vaccinated could protect their more senior relatives. He said: “Getting those in the younger age group vaccinated could absolutely help protect older people, such as their grandparents and other elderly relatives, from becoming ill.
Children aged two or three can have the nasal spray flu vaccine at their GP surgery each winter for free. Those in Year 4 can also access it in school, and it is also available to children aged two to eight, who are born before 31 August 2015. However, according to recent Public Health England research, just 38 per cent of children between the ages of two and four were vaccinated last season. 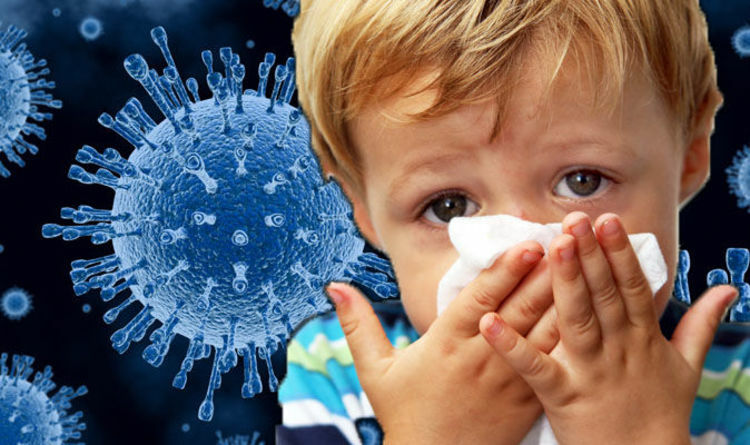 Dr Atherton said: “Young children are at risk of serious complications of influenza, their immune systems are not yet fully developed so they can't fight off infections, such as flu, as well as older children and adults. “That is why I am urging two and three year olds to get vaccinated. It will help protect them from the flu and stop it spreading to family and friends in the wider community this winter." Symptoms of the flu include fever, cough, chills, headache and aching muscles. Most children will be able to recover after resting in bed, however there may be more serious complications if they suffer from asthma.